At Oakland’s Paramount Theatre last week, the avid Avett Brothers covered Paul Simon’s sweet Slip Slidin’ Away. Despite the crowd noise, it’s the Avetts combined with great songwriting, and all is good. Dear Avetts, please pay us another visit, lest we slide away. We don’t want to lie awake and think of things that could have been. Summertime has sashayed into Central California finally. You can see it in the sky, feel it in the fronds (palm) and scrape it off of State Street. Non-polar bears may now venture into the ocean, and there is unscheduled mayhem. Some are even (horrors!) off the grid. And you can hear summer in the song Trampolines by the young Chicago band Yourself and the Air off of their new EP, Who’s Who in the Zoo, on Lujo Records. The song may be as fleeting as the days, but it shimmers and soundtracks the season for us, and lifts us into the summer sky. 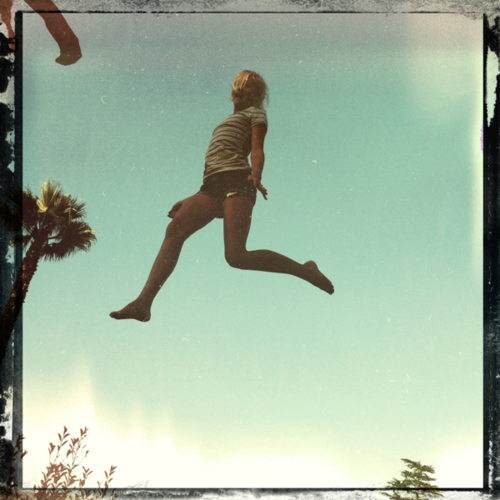 Ourselves in the air. We were out of town when Yourself and the Air played at Muddy Waters recently, but we have heard good things about their set. We wish them well. Vive l’été! OK, it turns out that occasionally the hoopla is actually warranted. We’ve been hearing cavalcades of raves for Anna Calvi for awhile, but until we saw her perform her anthemic song Desire on Letterman last night, we were on the fence. (As an aside, Brian Eno sings background vocals on the studio version of Desire.) On Letterman she knocked us clean over onto the Anna Calvi side of that fence. No more sittin’. Her confidence, stage presence, guitar acumen and vocal talent are commanding. As seen below, Calvi has clearly been influenced by PJ Harvey (on Desire) and Siouxsie (especially on Blackout). In the videos below, Calvi seduces on Desire (while accompanied on harmonium, tympani and drums), blazes on Blackout (as performed on Later Live with…Jules Holland), and plays gripping guitar on Love Won’t Be Leaving. And her eyes have it–she’s titillatingly terrifying. We don’t need to tell you to keep your eyes on Anna Calvi. She’s got the it. 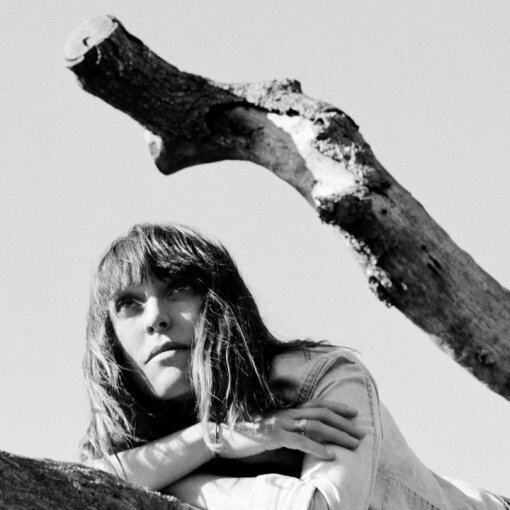 Feist will release her new album, “Metals,” on October 4th, her first album in four years. Cue a new round of commercials and cutely choreographed performances. In the interim she is releasing teaser-trailers for each of the twelve tracks on the new album. Coming on the heals of Gillian Welch’s new album after an eight-year hiatus and now Feist’s new album, we sense a trend. Can it be long before new-release-holdouts The Wrens (eight years since their masterful Meadowlands) and Buellton (ten years since their stunning Avenue of the Flags) grace us with new albums? We’ll hope for the best. In the meantime, check out the first two Feist teaser trailers below, Metals #1 and Metals #3. She’s not giving us much to go on, but by the twelfth vignette we might have a better picture. We don’t know about Metals #1 (really not much to go on), but in Metals #3 we hear Feist channeling the under-appreciated, great Mary Margaret O’Hara. The Portland-based band, Unknown Mortal Orchestra (signed to Fat Possum Records), has been building a bounteous buzz in recent months. They say that imitation is the sincerest [form of] flattery. As you can hear/see in the first half of the new video below for their song Ffunny Ffrends, on this song Unknown Mortal Orchestra have majored in Grizzly Bear imitation with a minor in Flaming Lips flattery. Who can blame them? If you have to copy someone…. Fortunately, the band breaks beyond mere imitation in the second half of the song, and we hear a fuzzier vocal and lead guitar playing that draw distinctions from the influences. And the video further below (for their song How Can You Luv Me) gives further credence to their differentiation. This is a young band (check the moppet drummer ferheavensake! ), and only time will tell their true worth. But Unknown Mortal Orchestra sounds and looks like it has unknown mortal talent. They are currently on tour with another buzz-band (that we like), Yuck. Check ’em out. Beirut’s Zach Condon joined The National at the Paleo Music Festival in Switzerland recently. Friends of ours attended and were wowed. Naturally–it’s The National. Check out their collaboration on Fake Empire below, with the entire set also being available (courtesy of music induced euphoria). Comments Off on Rest and Peace? A lot of ink and pixels have been and will be spread before your eyeballs, all attempting to make sense of Amy’s departure. Good luck with that. We’re still stuck at Ian and Kurt. 27 is M.I.A. in action while missing the gone-too-soon. Not for the faint of heart, and not the soundtrack that comes immediately to mind. But the violin sells it for now. The teachable moment lingers still though. Edward Sharpe & the Magnetic Zeros performed Janglin’ on Conan Monday night. We were surprised they didn’t play a new song off of their impending new album, but at least they threw some twists and turns into the arrangement of Janglin’. Check out it below (courtesy of Audio Perv). The U2 duo stopped by Letterman Monday night to play an acoustic version of Stuck In A Moment. Bono’s voice seems on the whole to just get better and better. And Edge provides his usual prodigious harmonies. And Paul Shaffer just can’t help himself and embellishes with some organ towards the end of the song. It’s momentous. Check it out.